Are you based in Norwich and need an electrician? We are commercial and domestic electrical contractors who operate in Norwich, Norfolk. For over ten years now we continue to be the first choice of many resident as the top local electricians in Norwich. Call us on 01493 717 206 or email mark.stocker@mts-electrical.co.uk to find out what Norwich electricians MTS Electrical can do for you. With a team of dedicated, qualified electricians, we are always able to complete the job and get it done right first time. We operate within building regulations and make sure that our work never leaves room for future problems. We are extremely careful and pay keen attention to detail to ensure that any electrical work that we undertake is completed to the best of our ability. 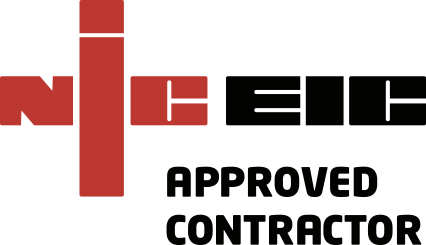 MTS Electrical are NICEIC members. This means that you can be absolutely certain we are fully certified, competent Norwich electricians. We have worked around Norwich for many years now and have built up a great reputation from our many clients. Our electrical services include electrical contract work for both domestic homes and commercial buildings in the Norwich and Norfolk areas. We can do fire alarm testing and installation, lighting installations, new consumer unit installations or upgrades, fault finding and inspections (including PAT testing), complete or partial property rewiring, security system installations and maintenance, new builds, kitchen and bathroom upgrades, condition reports and landlord certificates. We also carry out emergency call outs for any electrical emergencies. If you are based in the Norwich area and require an electrician immediately. just give us a call and we will send someone out to you as soon as possible. It is best to catch electrical faults early before they become emergencies so routine inspections may be necessary if you know that your property is prone to electrical failures. Well, just give MTS Electrical a call today on 01493 717 206. We have the knowledge and expertise to carry out any job efficiently.